Single room is a comfortable laconic place for one person with an admirable view of our inner well-groomed landscape park, mountain peaks of Pirin and Bansko Bulgaria Ski Resort. All rooms have walk out balconies, each one with a table and some chairs for outdoor gatherings. 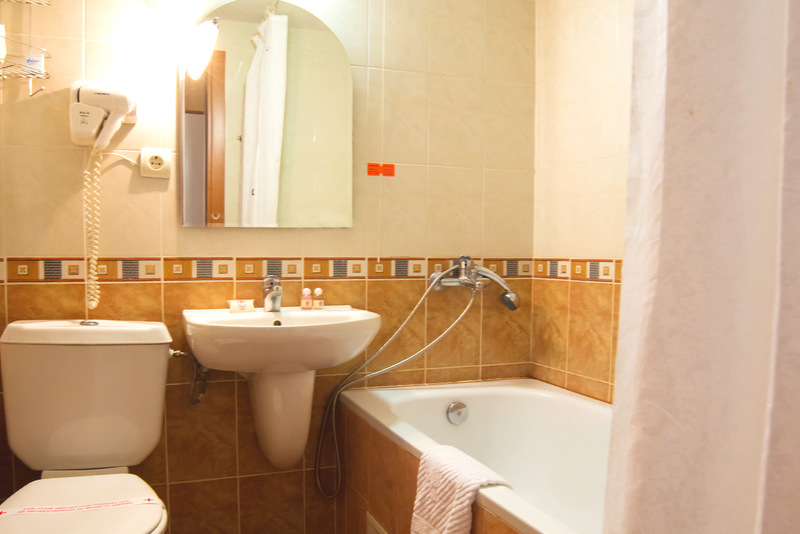 Each room has a WC and a bathroom with a bathtub, shower, SOS system, hair dryer, toiletries, as well as fresh towels and bathrobes. You do not need to search for mineral water specially, because it is already running from the taps of your bathroom. 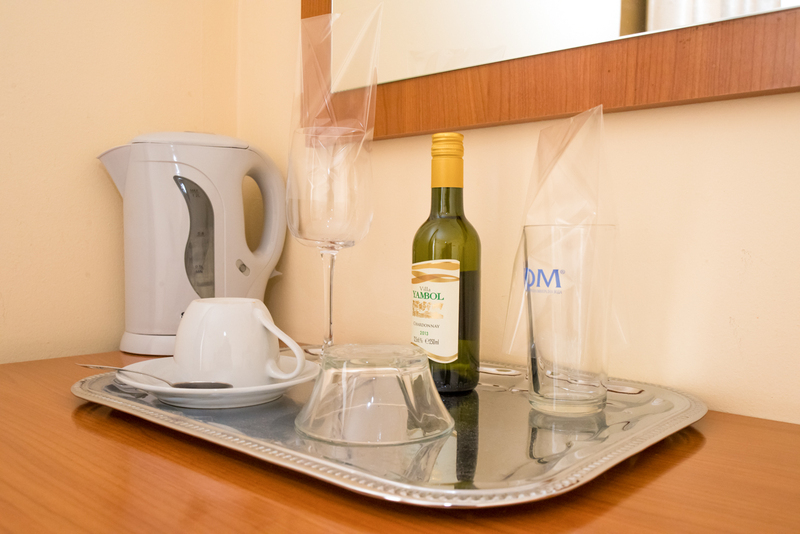 We are glad to take care of a quiet rest for tired guests: all rooms have cable TV and a telephone. Wi-Fi is free all over our hotel. If you need to work even during your vacation, a comfortable work desk is at your service. There are also electronic safes installed in every room for the safety of your belongings and designed to contain a laptop.